Pontederia is a genus of tristylous aquatic plants, commonly called the pickerel weeds. 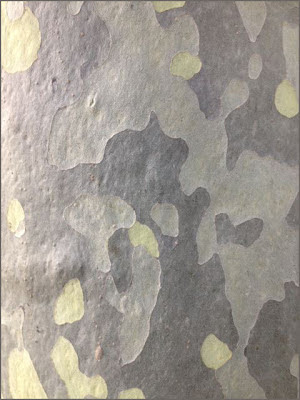 Pontederia is endemic to the Americas, distributed from Canada to Argentina, where it is found in shallow water or on mud. The genus was named by Linnaeus in honour of the Italian botanist Giulio Pontedera. Pontederia plants have large waxy leaves, succulent stems and a thick pad of fibrous roots. The roots give rise to rhizomes that allow rapid colonization by vegetative reproduction. Species are perennial, and produce a large spike of flowers in the summer. There is a species of bee (Dufourea novae-angliae) that exclusively visits Pontederia cordata; waterfowl also eat the fruit of the plant. Pontederia cordata, and another member of the family, Eichhornia crassipes, have become invasive in many tropical and temperate parts of the globe, but are, on the other hand, efficient biological filters of polluted water. in constructed wetlands. It is native to much of Asia and across many of the Pacific Islands, and it is known in other areas as an introduced species and often a noxious weed. 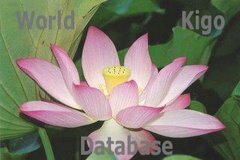 An aquatic plant, it is invasive in rice paddies and other water bodies. This is an annual or perennial herb growing in water from a small rhizome. It is quite variable in morphology. The shiny green leaves are up to about 12 centimeters long and 10 wide and are borne on rigid, hollow petioles. The inflorescence bears 3 to 25 flowers which open underwater and all around the same time. Each has six purple-blue tepals just over a centimeter long. The fruit is a capsule about a centimeter long which contains many tiny winged seeds. This was written on a very hot day, when Basho met his haikai friends at the residence Tookaboo 別宅桃花坊 Tokabo. The fish in the pond were trying to avoid the heat by hiding under the green leaves, but finally succumbed to the heat. The Japanese word comes from the portugese sabao, meaning soap and te, hands. The Chinese characters 仙人掌 signify the praying hands of a mountain hermit. Cacti come in a wide range of shapes and sizes. The tallest is Pachycereus pringlei, with a maximum recorded height of 19.2 m, and the smallest is Blossfeldia liliputiana, only about 1 cm diameter at maturity. Cactus flowers are large, and like the spines and branches arise from areoles. Many cactus species are night blooming, as they are pollinated by nocturnal insects or small animals, principally moths, bats, and sheep. Cacti's sizes range from small and round to pole-like and tall. Among the remains of the Aztec civilization cacti can be found repeatedly in pictorial representations, sculpture and drawings, principally Echinocactus grusonii. This cactus, also known as "Mother-in-law's Cushion", has great ritual significance - human sacrifices were carried out on these cacti. Tenochtitlan (the earlier name of Mexico City) means "place of the sacred cactus". The Coat of arms of Mexico to this day show an eagle, snake and cactus. Economic exploitation of the cactus can also be traced back to the Aztecs. 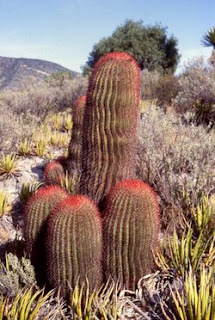 The North American Indians exploit the alkaloid content of many cactuses for ritual purposes. Today, besides their use as foodstuffs (jam, fruit, vegetables), their principal use is as a host for the cochineal insect, from which a red dye (carmine) is obtained which is used in Campari or high-quality lipsticks. Particularly in South America dead pillar cacti yield valuable wood for construction. Some cactuses are also of pharmaceutical significance. From the moment of their discovery by early European explorers cacti have aroused much interest: Christopher Columbus brought the first melocactuses to Europe. Scientific interest in them began in the 17th century. By 1737 24 species were known, which Linné grouped together as the genus "Cactus". With the passage of time cactuses enjoyed increasing popularity: sometimes they were of scientific interest only; at other times as fashionable plants they enjoyed a real boom. From the beginning of the 20th century interest in cacti has increased steadily, interrupted only by the two world wars. This was accompanied by a rising commercial interest, the negative consequences of which culminated in raids on the cactuses' native habitats, resulting in the extermination of many species. Through the great number of cactus admirers, whether their interest is scientific or hobby-oriented, new species and varieties are even today discovered every year. Maypop (Passiflora incarnata), also known as Purple passionflower, is a fast growing perennial vine with climbing or trailing stems. A member of the passionflower genus Passiflora, the Maypop has large, intricate flowers with prominent styles and stamens. One of the hardiest species of passionflower, it is a common wildflower in the southern United States. The stems can be smooth or pubescent; they are long and trailing, possessing many tendrils. Leaves are alternate and palmately 3-lobed, measuring from 6-15 cm. They have two characteristic glands at the base of the blade on the petiole. Flowers have five bluish-white petals. They exhibit a white and purple corona, a structure of fine appendages between the petals and corolla. The large flower is typically arranged in a ring above the petals and sepals. They are pollinated by insects such as bumblebees, and are self-sterile. The fleshy fruit, also in itself called a Maypop, is an oval yellowish berry about the size of a hen egg; it is green at first, but then becomes orange as it matures. In this species, the yellow mucilage around the seeds of the fruit is sweet and edible, however it is quite seedy and mostly benefits wildlife. As with other passifloras, it is the larval food of a number of butterfly species. Traditionally, the fresh or dried whole plant has been used as a herbal medicine to treat nervous anxiety and insomnia. The dried, ground herb is frequently used in Europe by drinking a teaspoon of it in tea. A sedative chewing gum has even been produced. The Maypop occurs in thickets, disturbed areas, unmowed pastures, roadsides and railroads. It thrives in areas with lots of available sunlight. In areas of growing forest, they will disappear as the sun is blotted out by growing trees. Other common names include Wild apricot and May apple. In the 1500s, Spanish conquistadors discovered some extraordinary New World flowers, which struck them as vivid symbols of their religion. The outer circle of petals and sepals they saw representing 10 of Christ's early disciples. The feathery inner circle to them symbolized the multitude of Christians; while the five anthers and three styles symbolized the five wounds and three nails that Christ suffered on the cross. 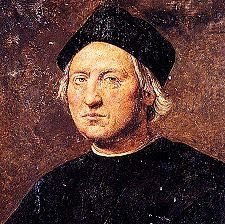 Moreover, when Jesuit priests noticed native Indians eating the small yellow or purple egg-shaped fruit, they read it as a sign that they were thirsting for the Christian religion. 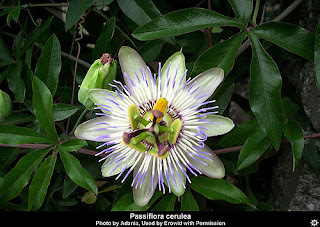 So the Spanish named this plant passiflora, meaning "passion flower," after the passionate sacrifice of Christ. Since then, about 500 species of the genus Passiflora have been found, mostly climbers from the warmer zones of the Americas with red, yellow, green, white or purple flowers. Some tropical species are cultivated for their tasty fruit (P. edulis and P. quadrangularis). But for flowers it is hard to beat P. incarnata, pictured above. This is romping away in my garden, and it is delightful to find fresh blooms opening on a summer's morning, then fading at the end of the day. Incidentally, the Japanese name means "clock-flower," for its resemblance to the face of a clock. The passion flower has served as a floral tribute to the passion of Christ for centuries, and is always a favorite flower on traditional gravestones in Ireland. The passionflower is pretty well rooted in Irish culture. The so-called Passion Flower Hornpipe is very popular among the Irish traditional musicians. I have seen even passionflower cross tatoos!